Okay, I get that you're a fan of a line of plush dolls (not unlike my two year old daughter), but damn... Let's keep the enthusiasm in check. 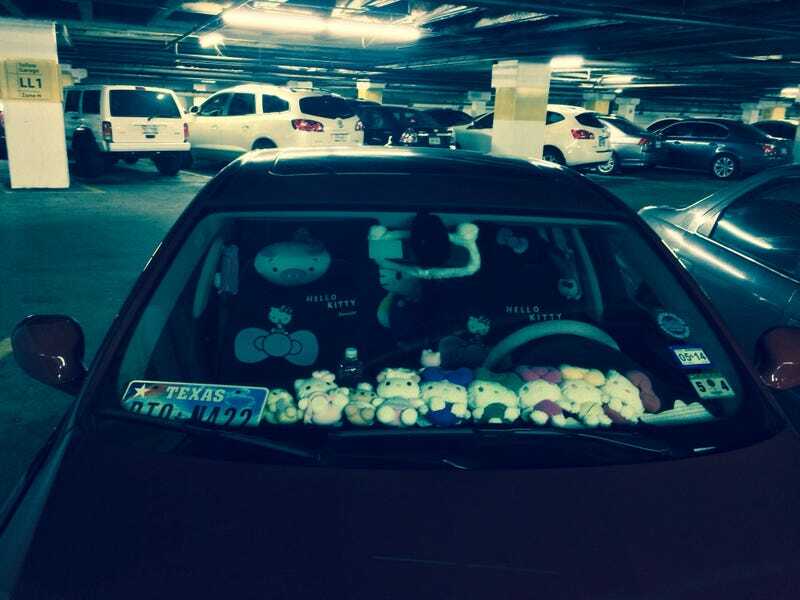 The back window had just as many, too. At least they didn't paint the 328 pink (yet).